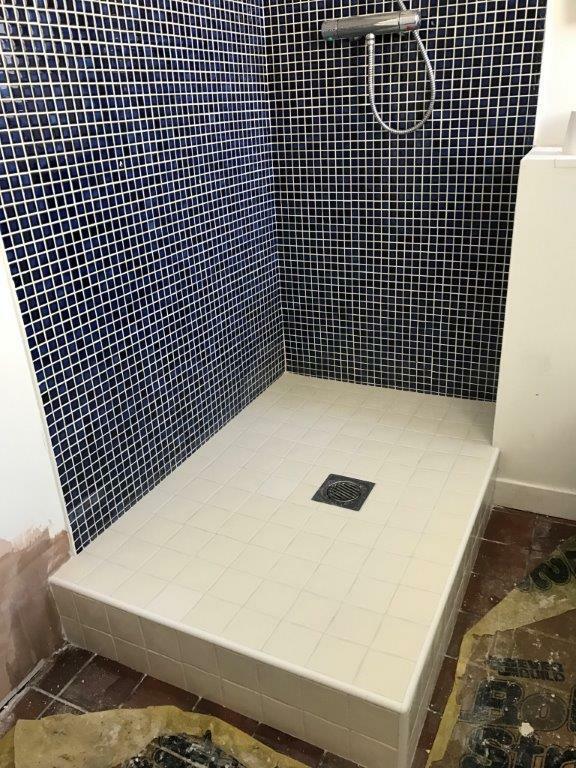 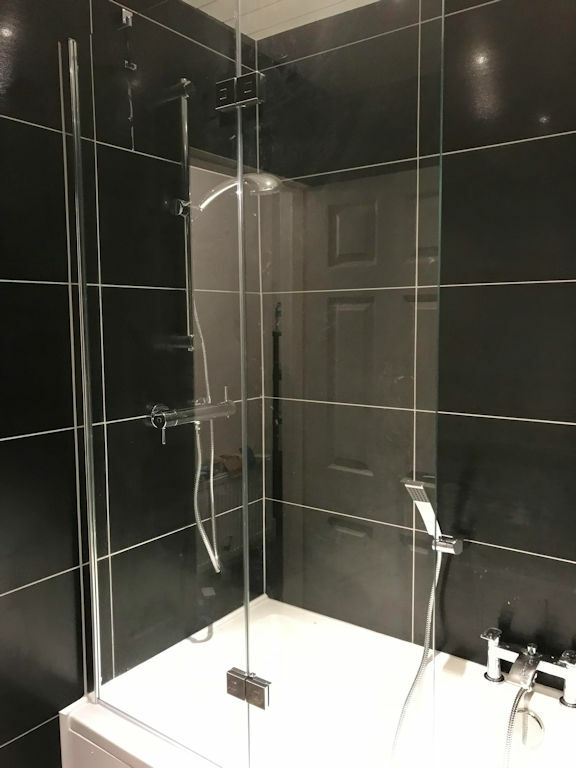 Photo of a corner shower, toilet and tiling work completed by PJTC. 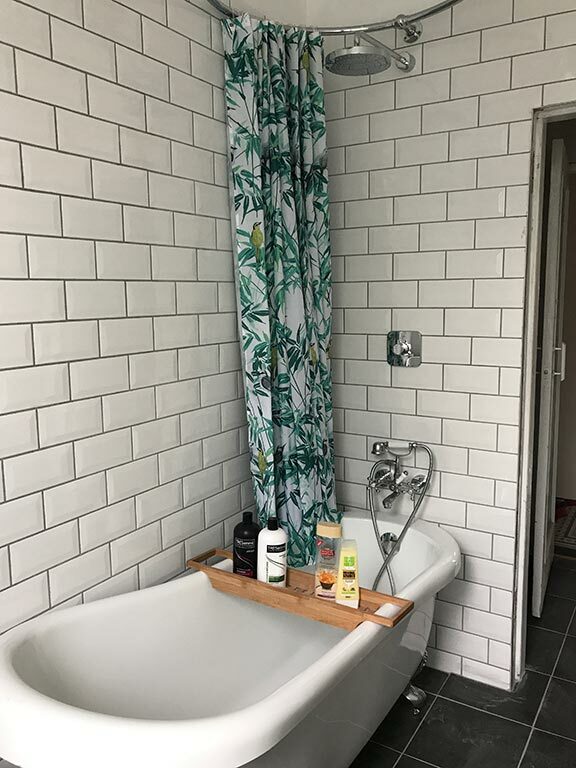 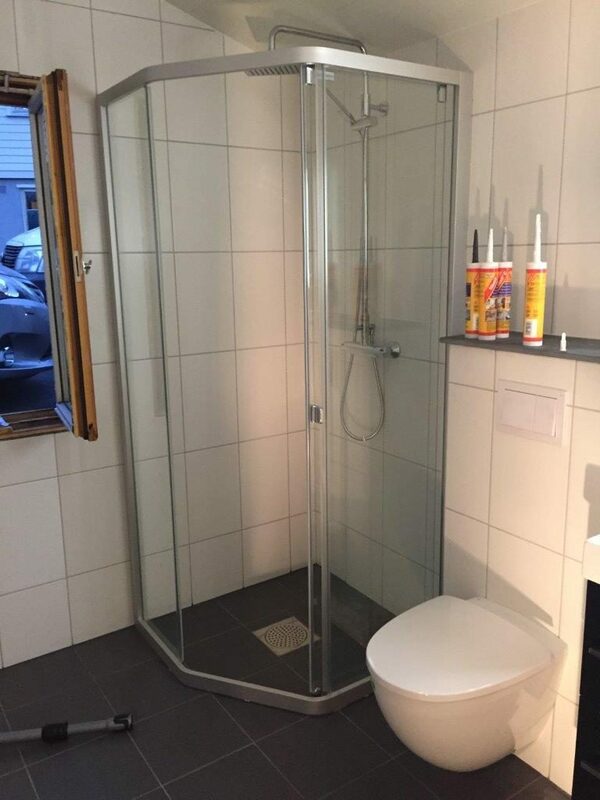 Adding a shower curtain with the proper fitting is important. 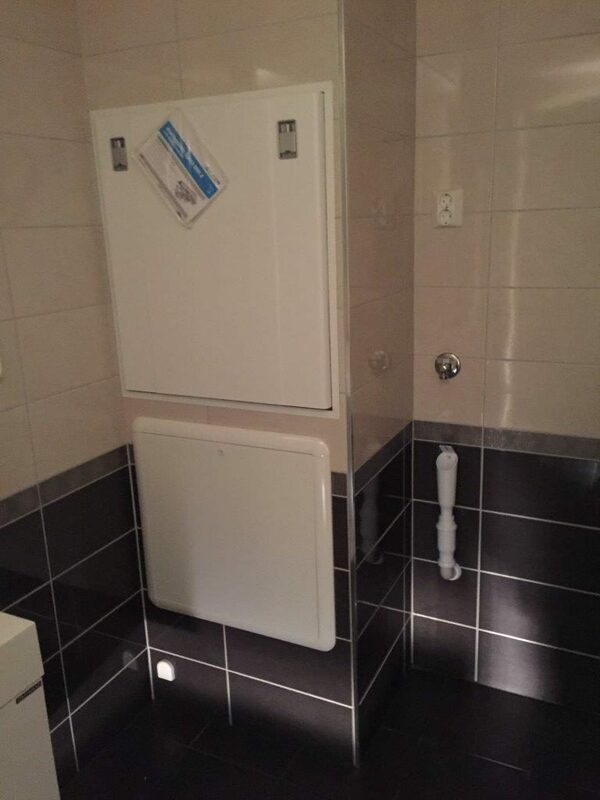 You have to use to correct equipment or damage could be done. 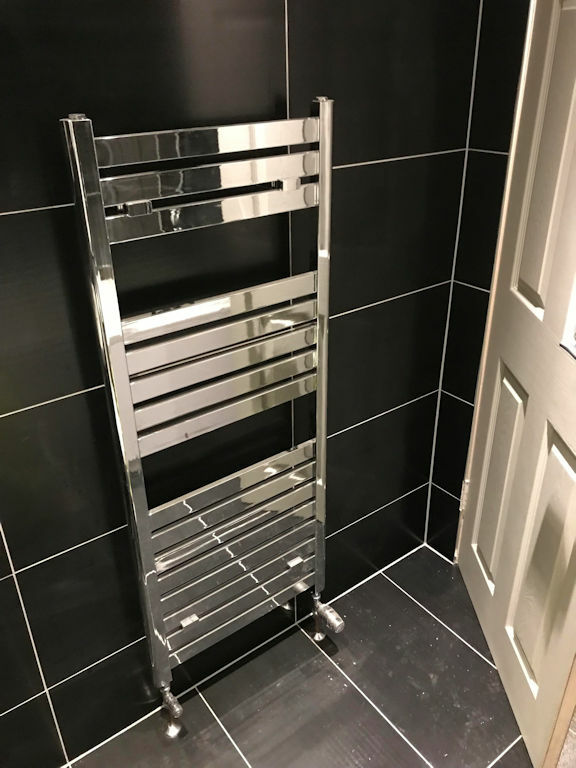 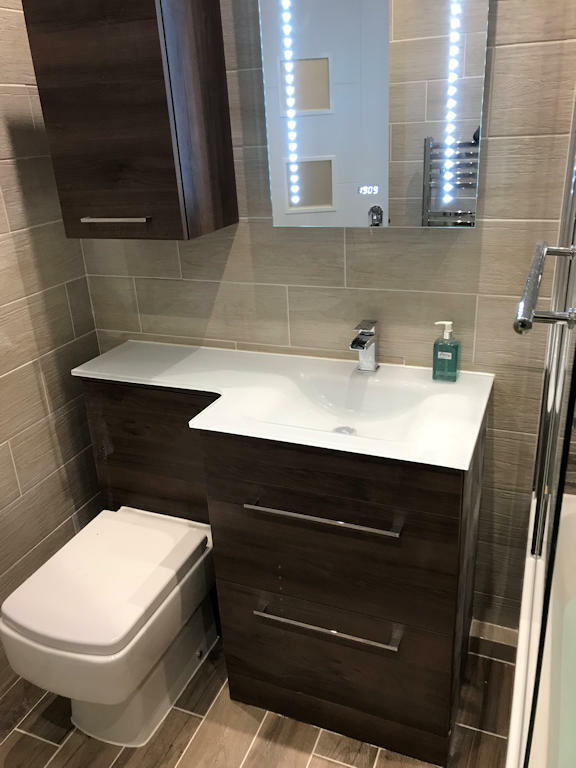 Lovely modern bathroom installions with all fittings and designs available from us. 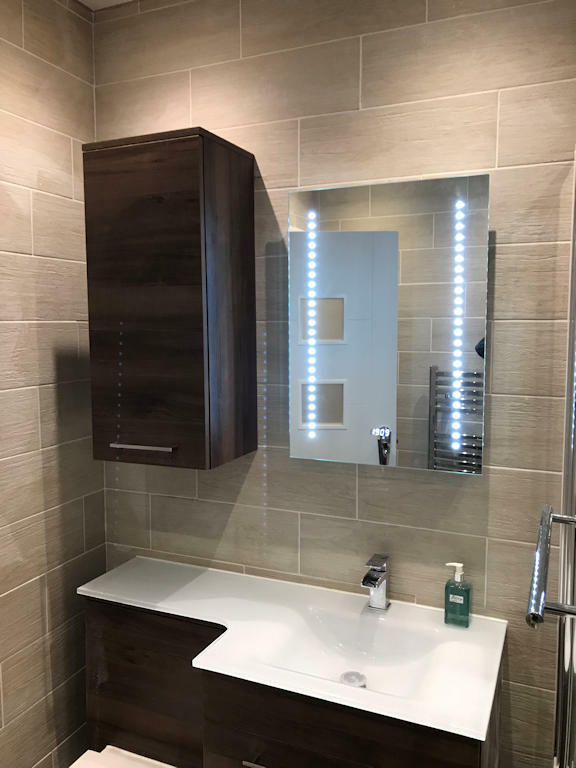 New Bathroom installion completed with lights and mirror fittings. 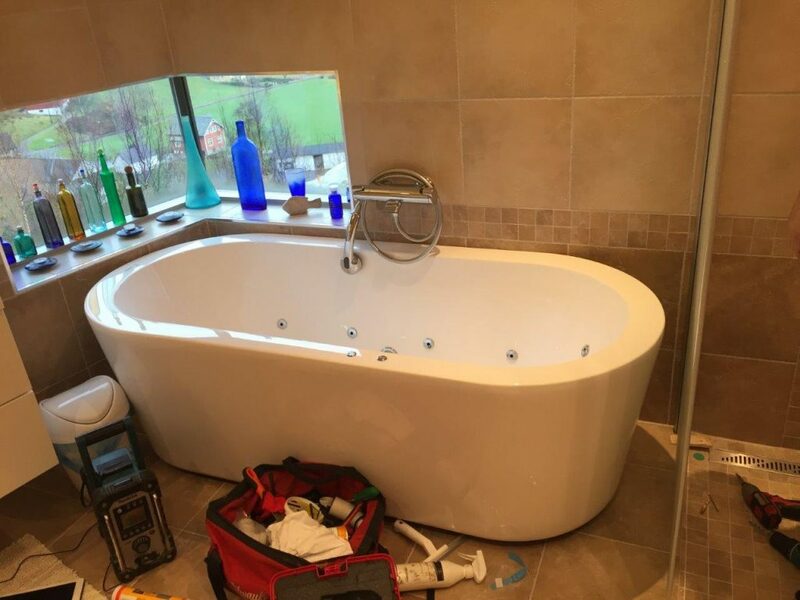 A new bath in the process of being installed. 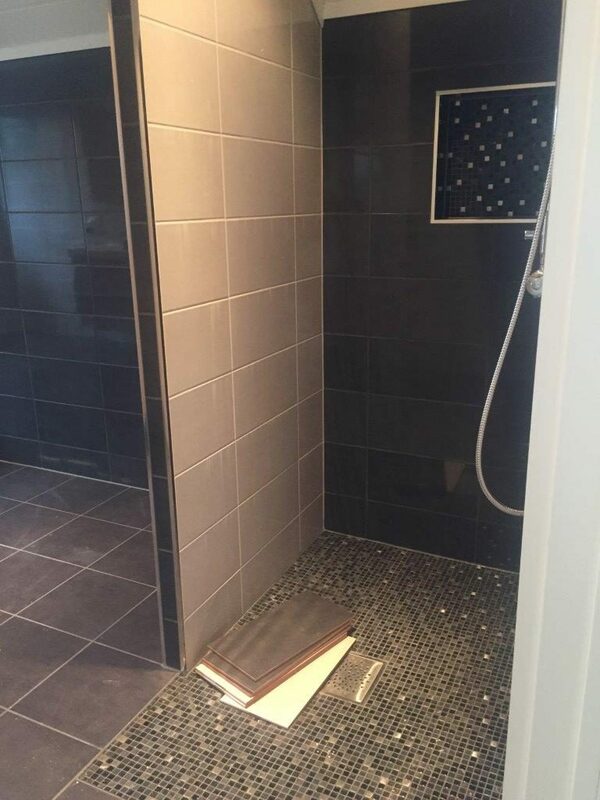 Finished product was outstanding. 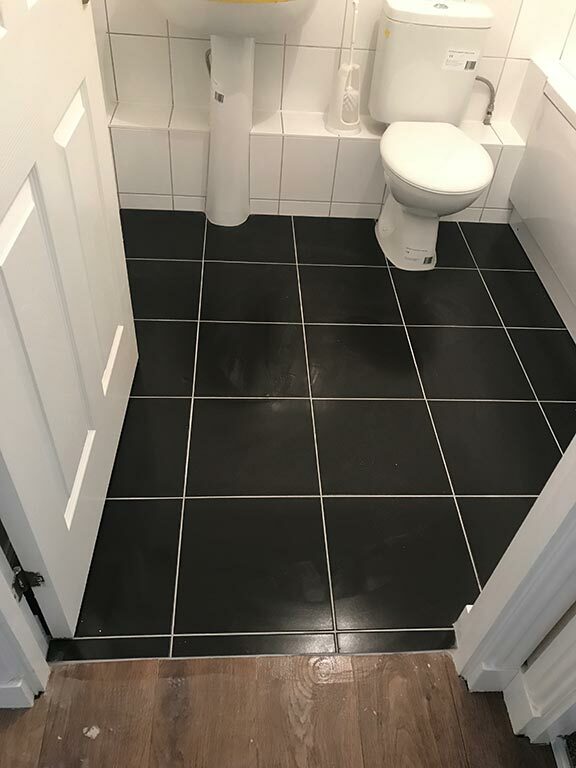 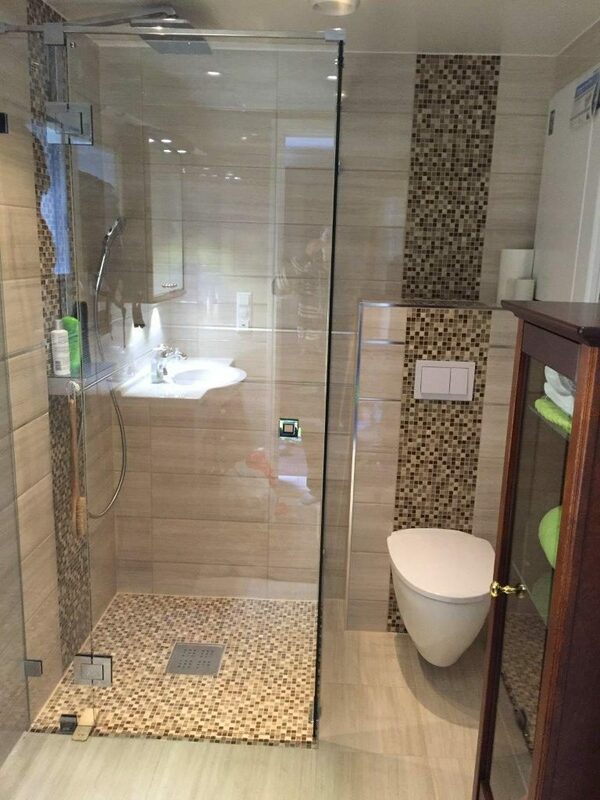 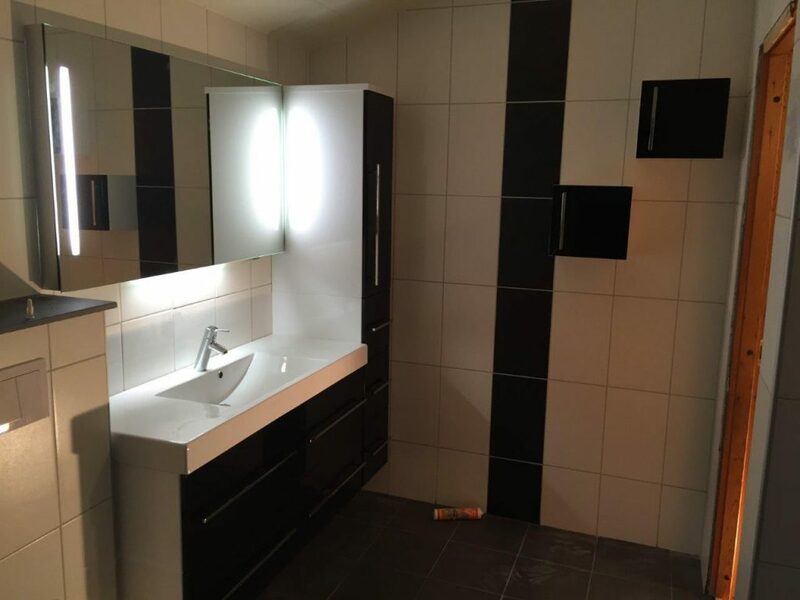 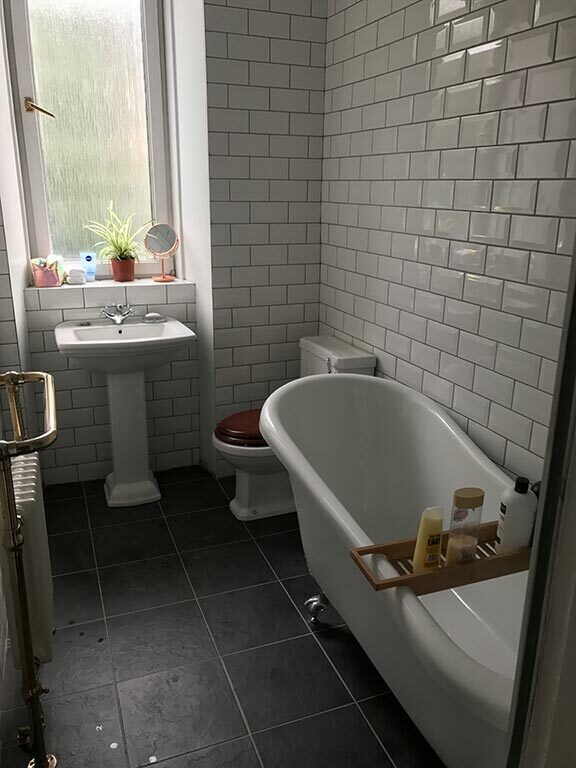 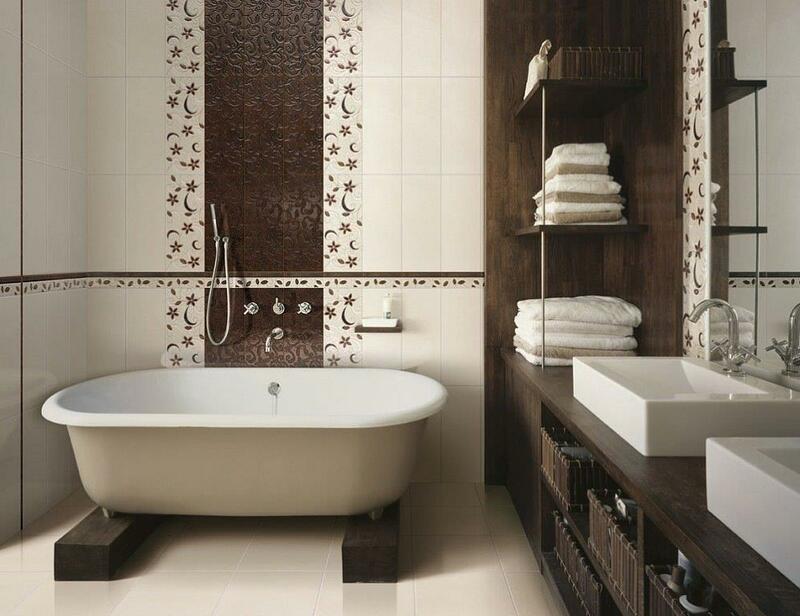 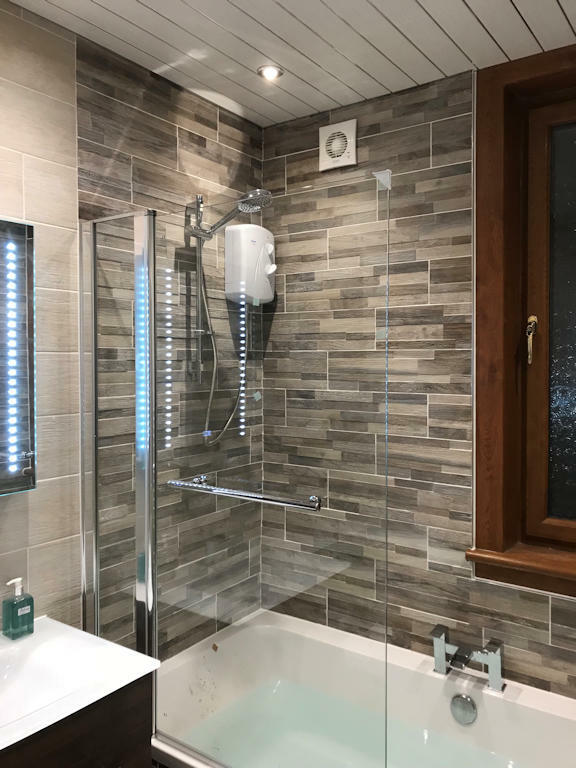 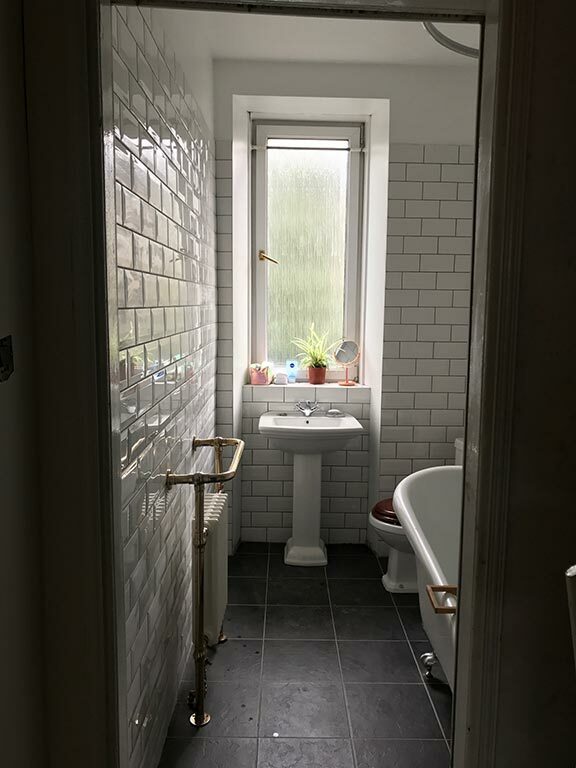 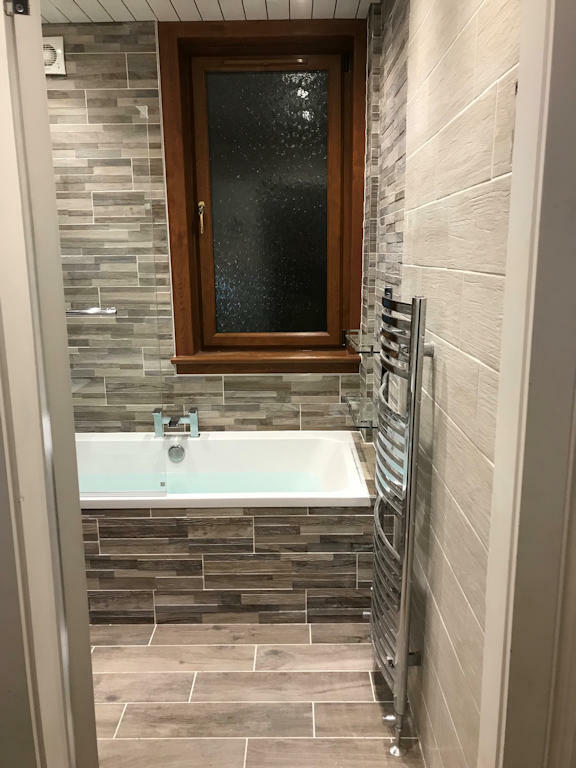 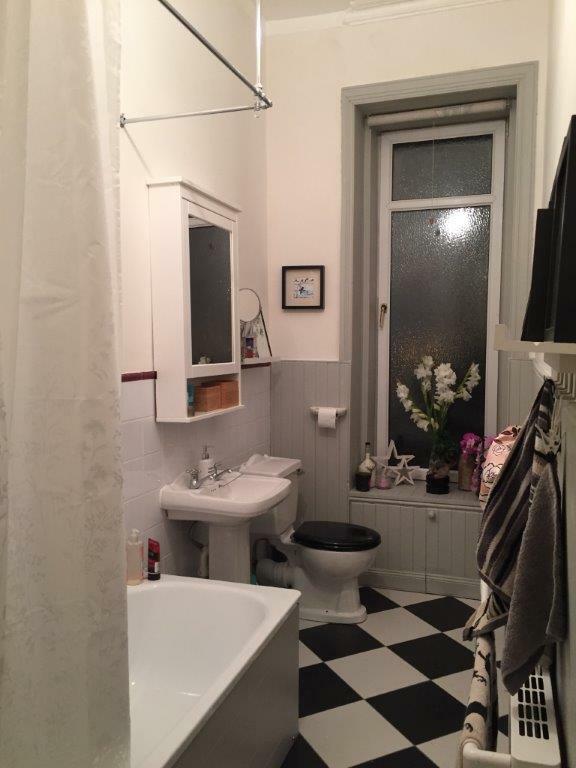 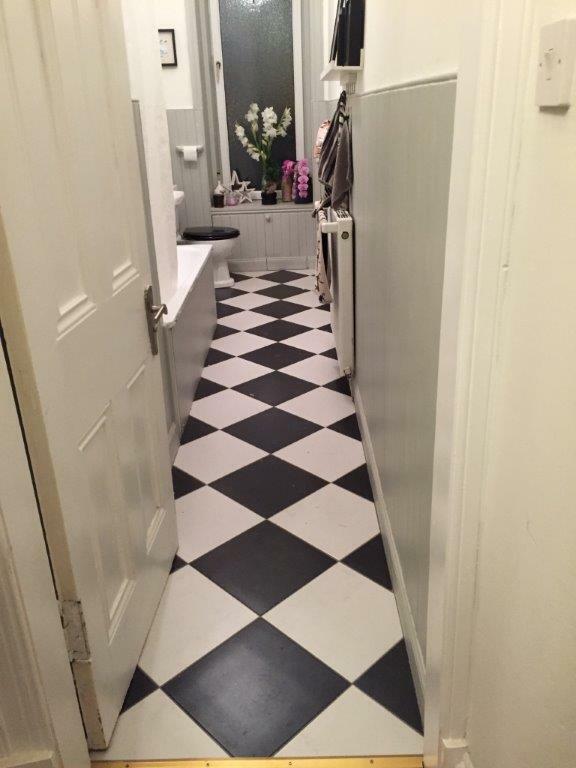 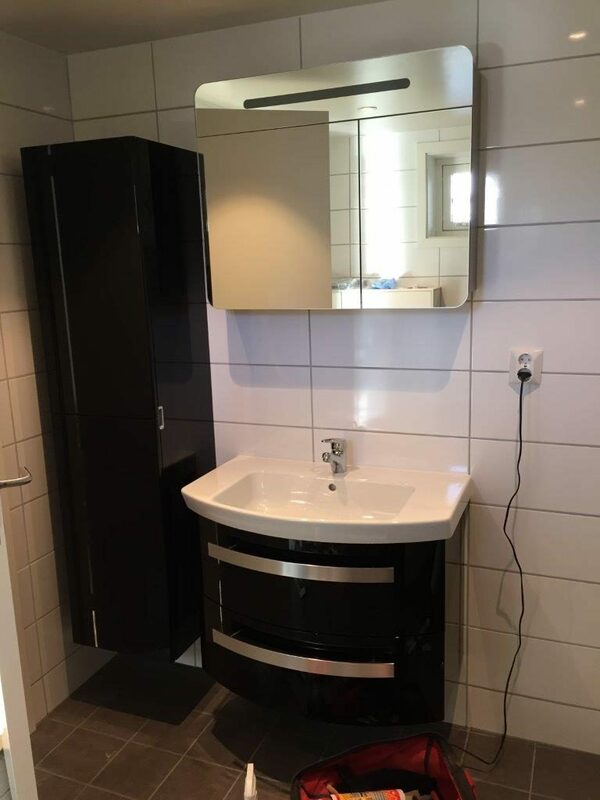 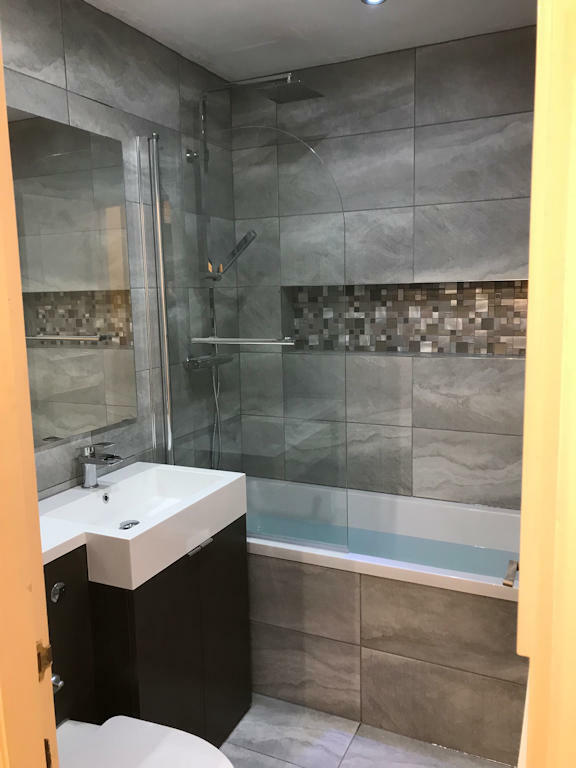 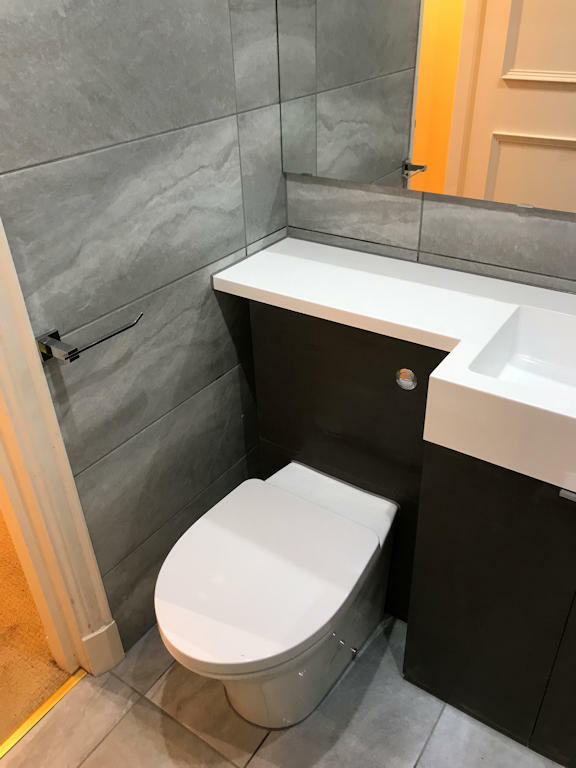 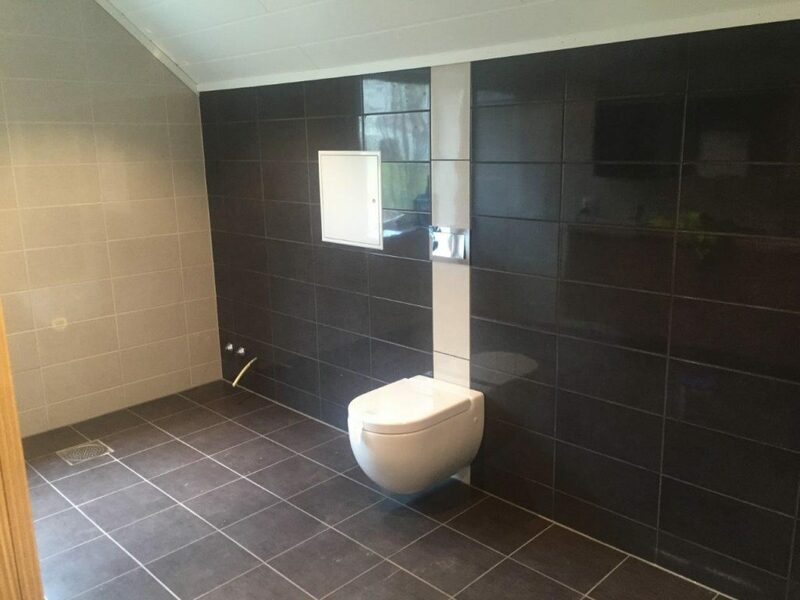 Toliet and tiles were completed in this bathroom. 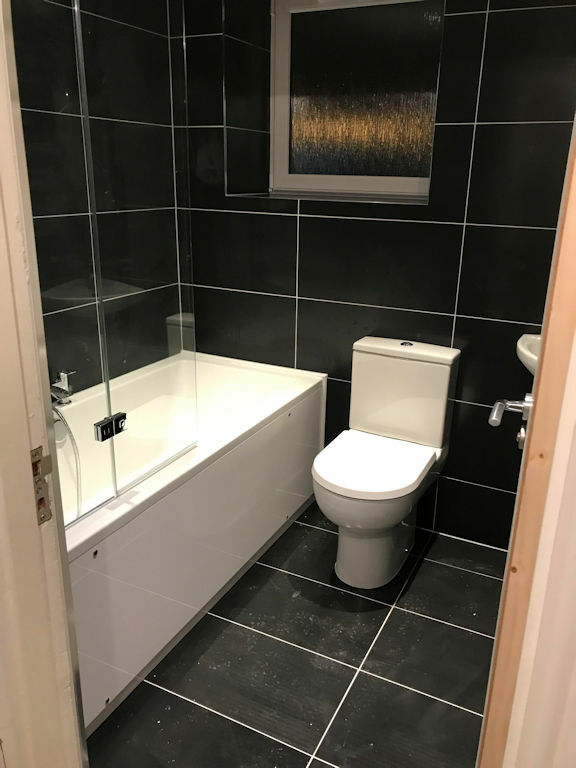 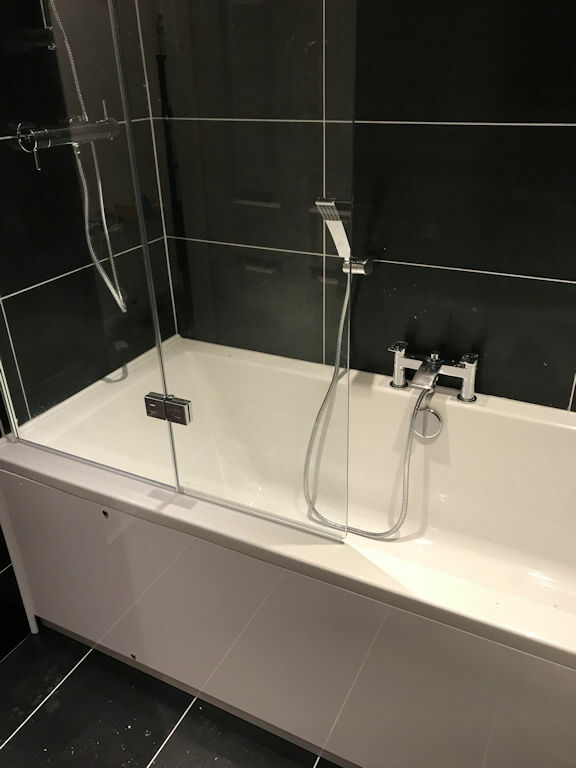 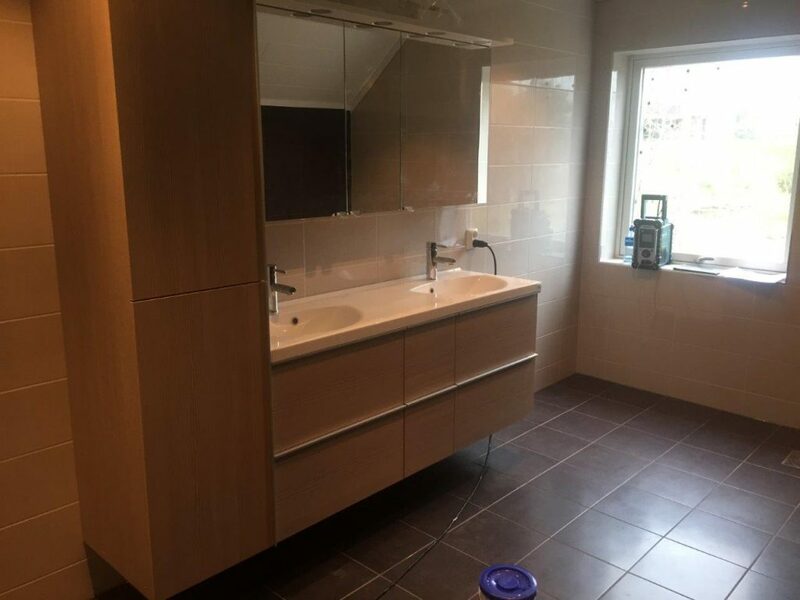 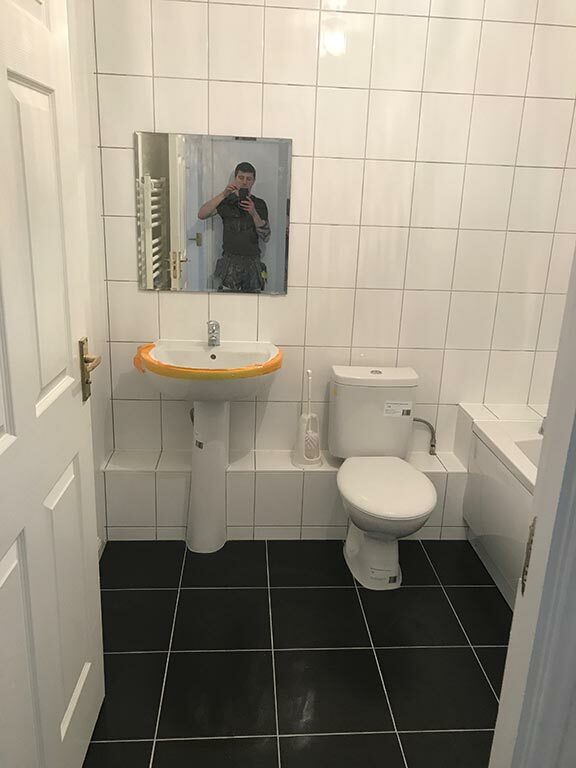 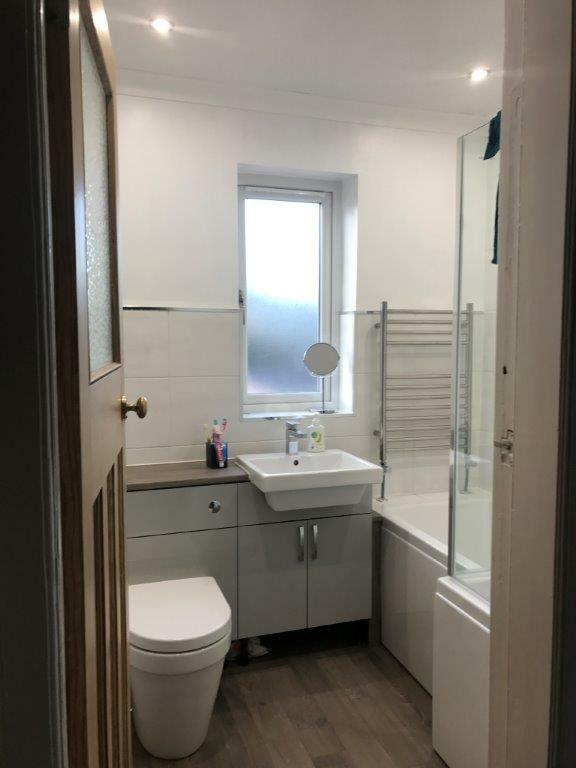 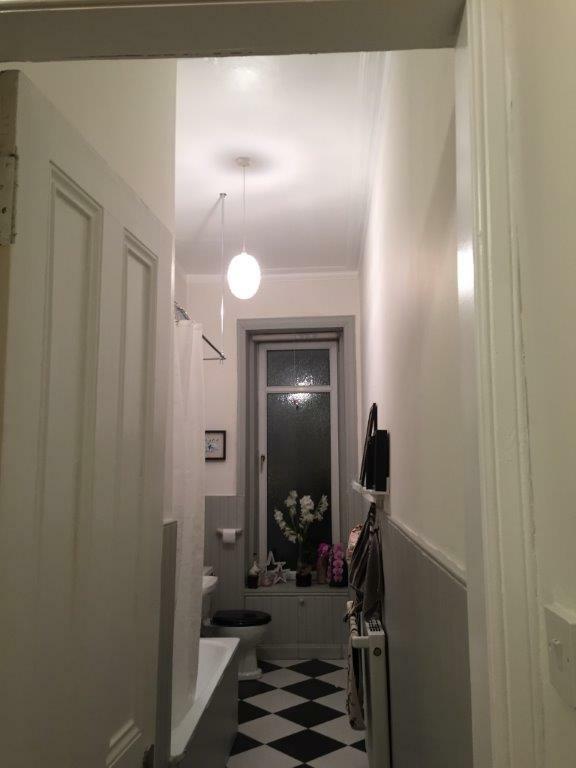 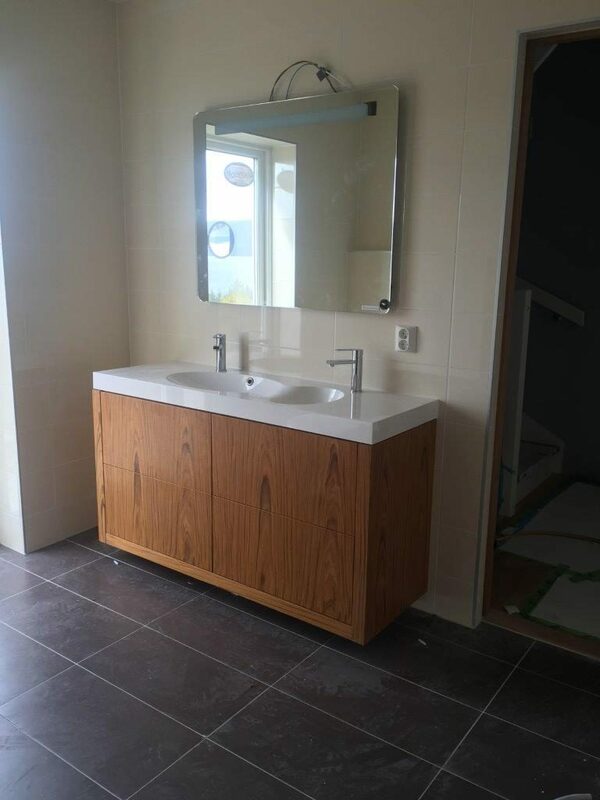 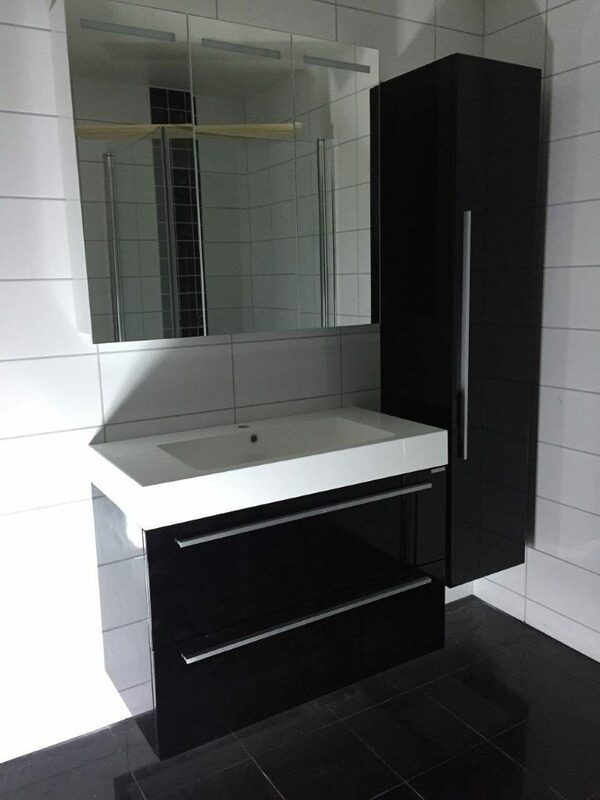 New Bathroom installion with modern fittings. 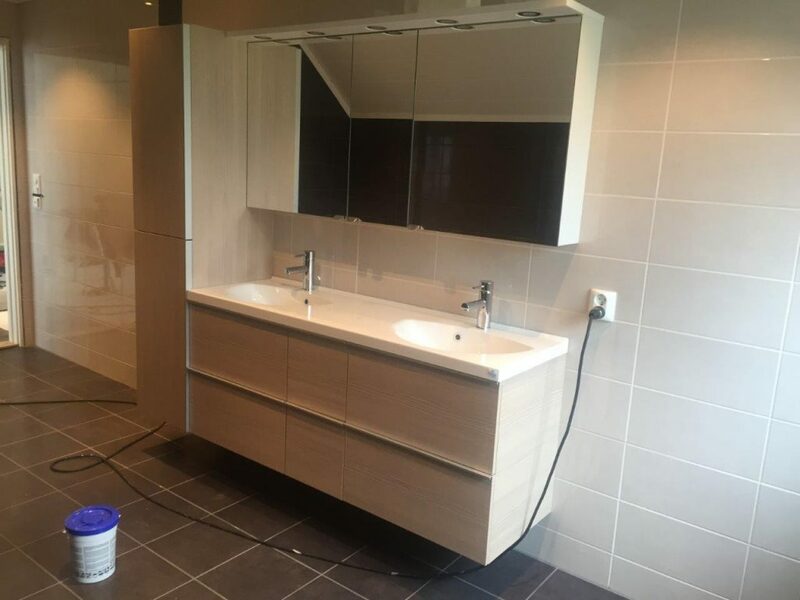 Installation of a new sink with the tiles behind fitted in perfectly. 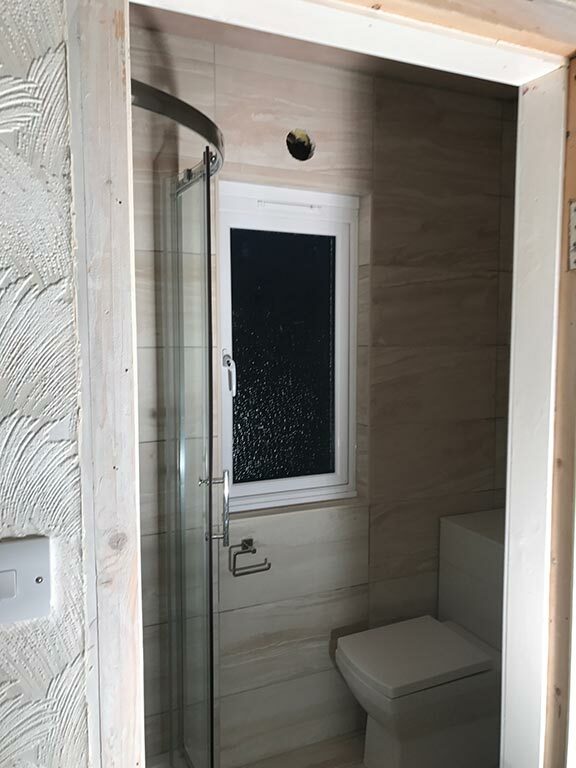 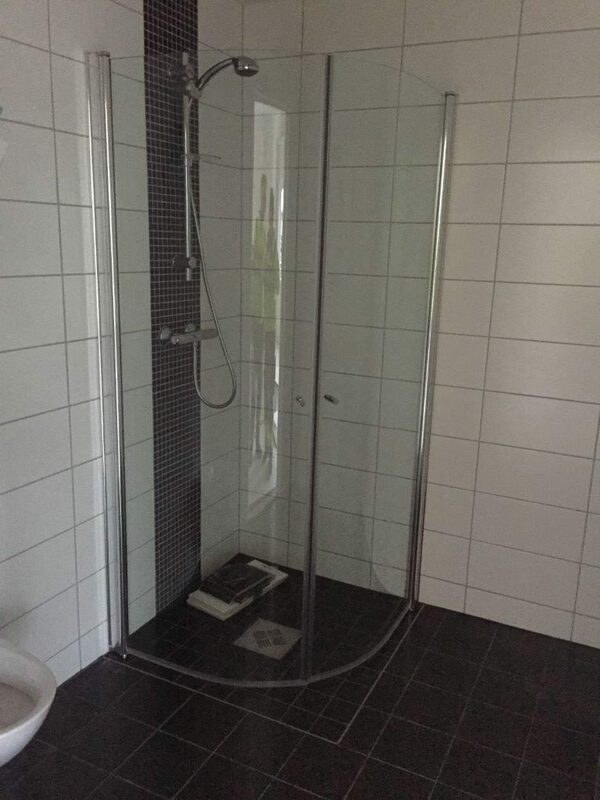 Shower installation with doors. 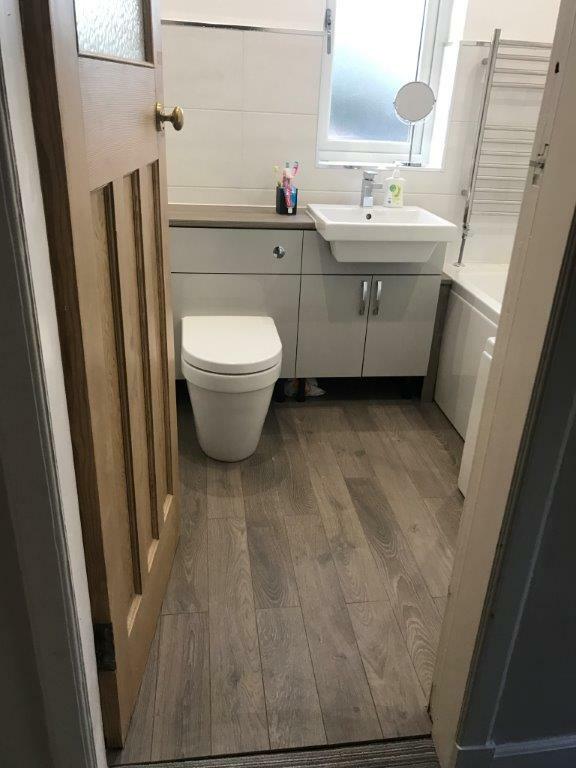 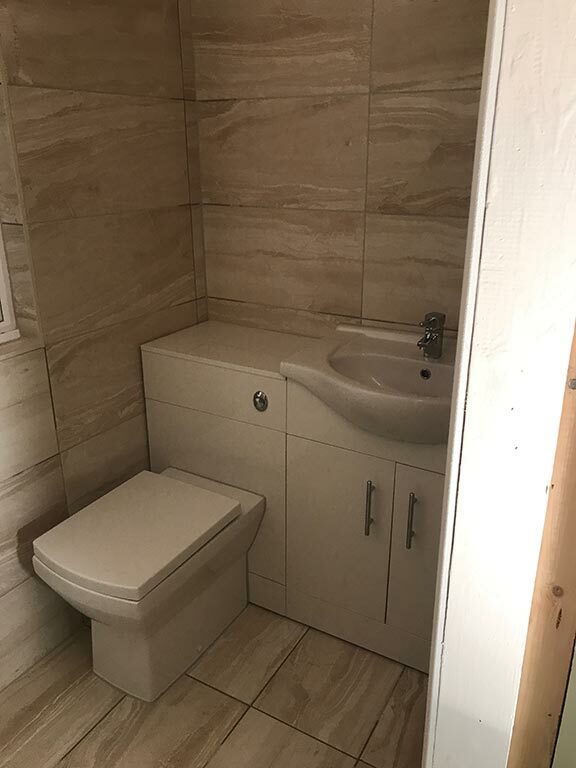 Toliet fitted in space beside unit. 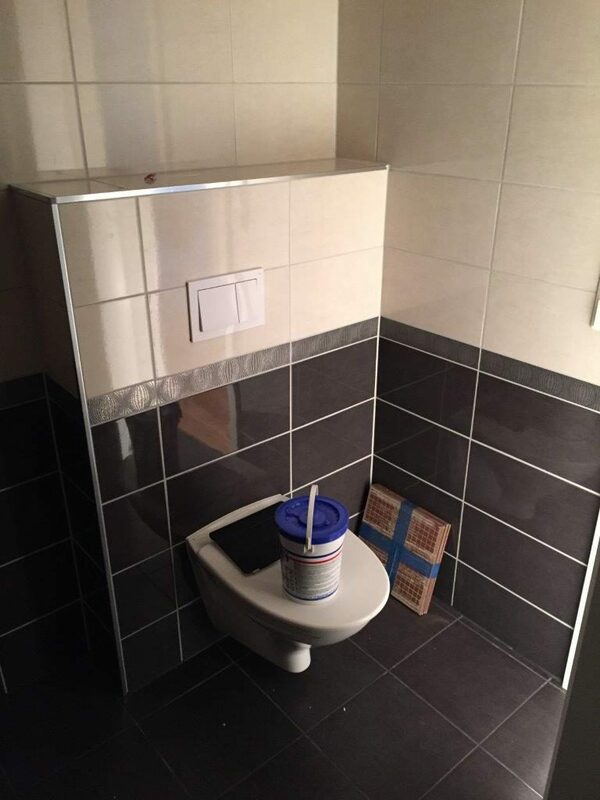 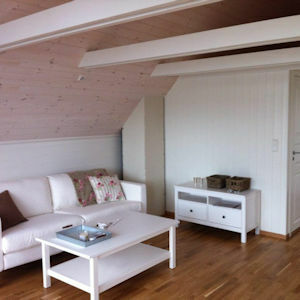 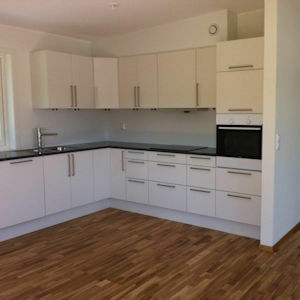 All fitted to the highest standard. 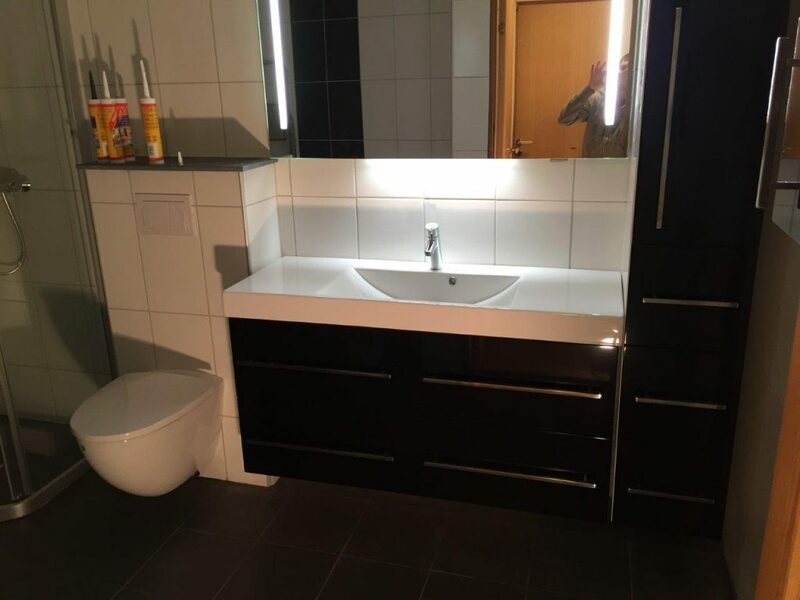 This great double sink is ideal for a couple. 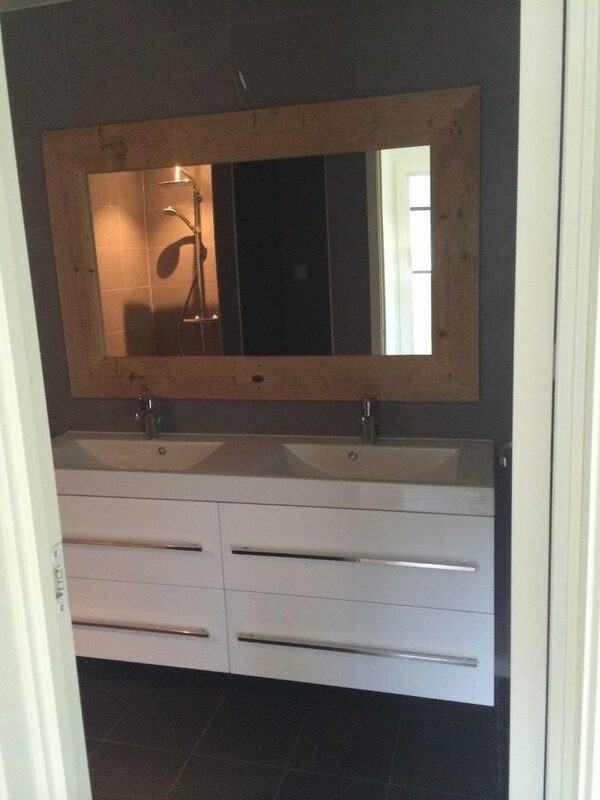 With large mirror. 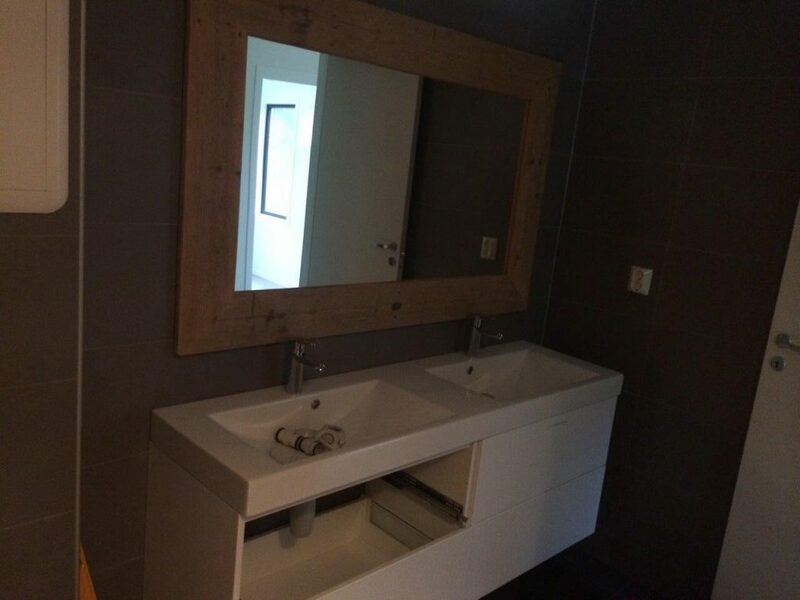 Antoher photo of a double sink from a different angle. 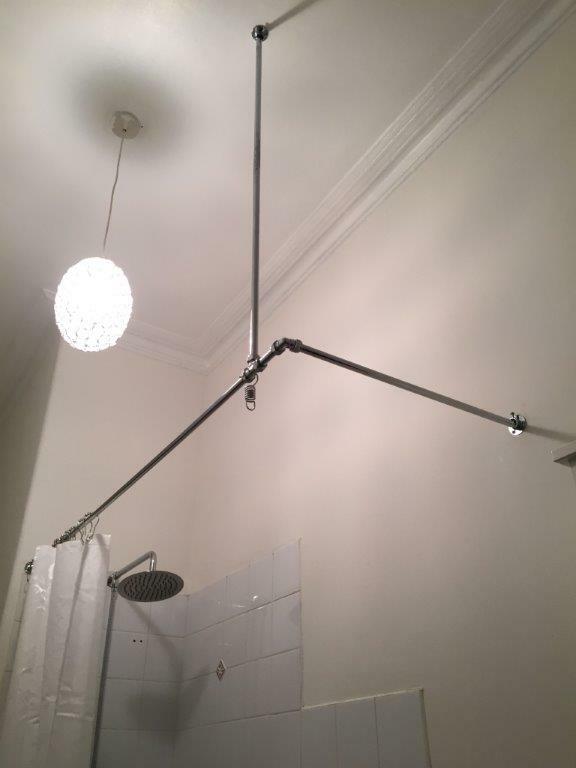 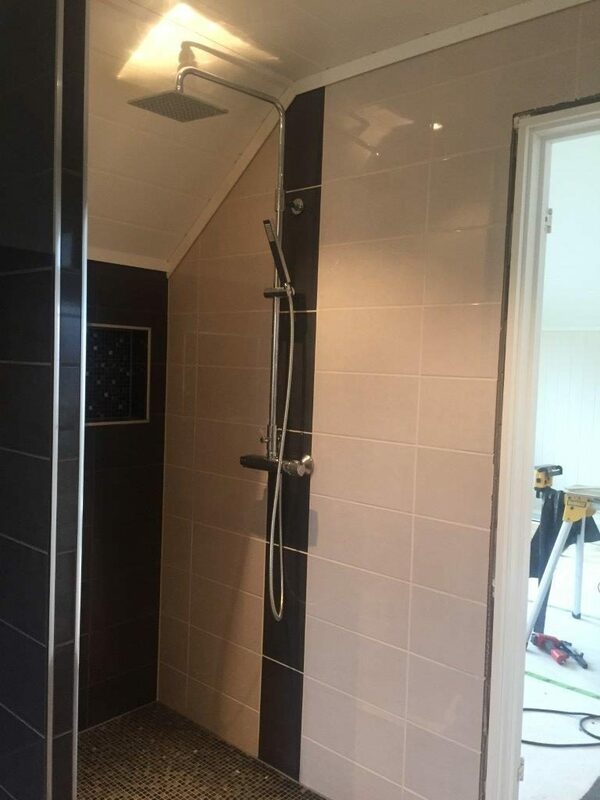 A photo of a shower being fitted to the highest standard. 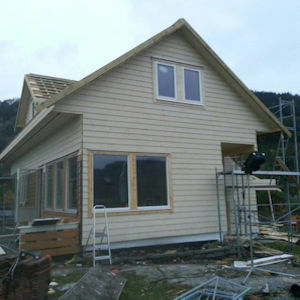 This photo is also work in progess. 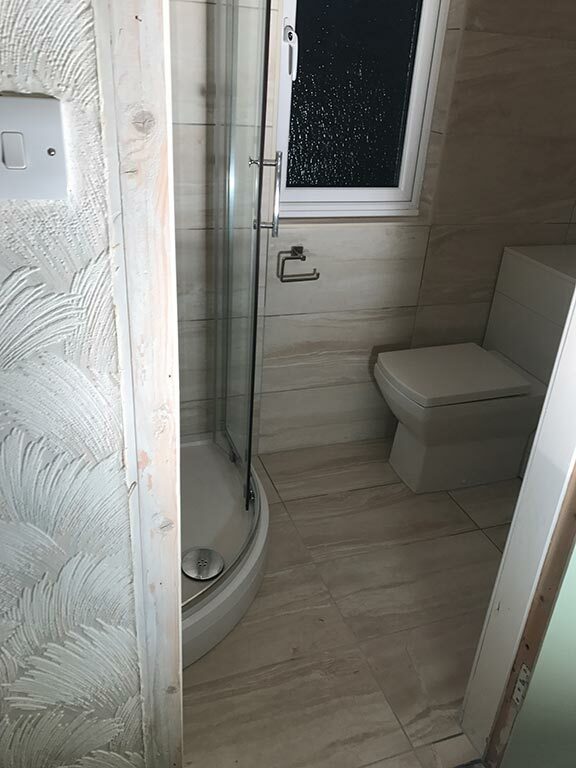 Lovely New Bathroom with all fitting and installion complete. 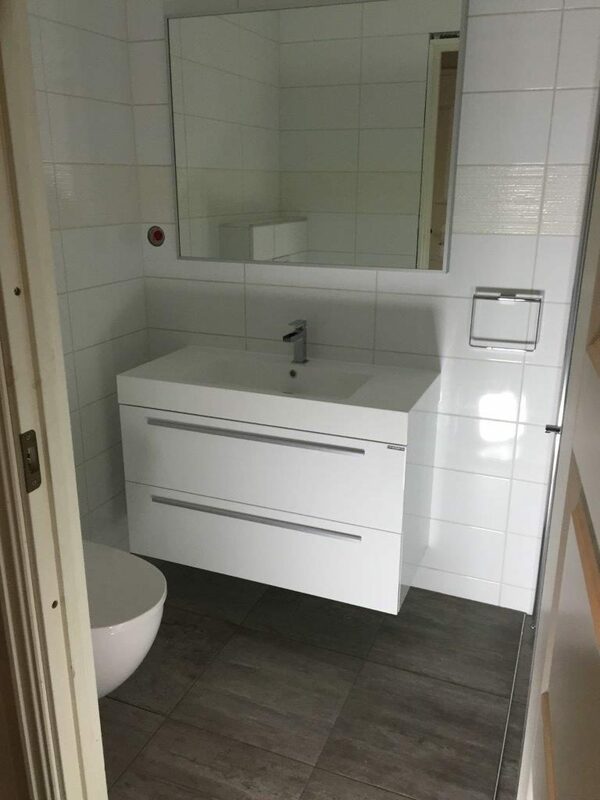 New white bathroom installion and fitted with flooring.